Leopard Print Cami Top | Jessica B. An elegant figure-skimming cami in leopard print. 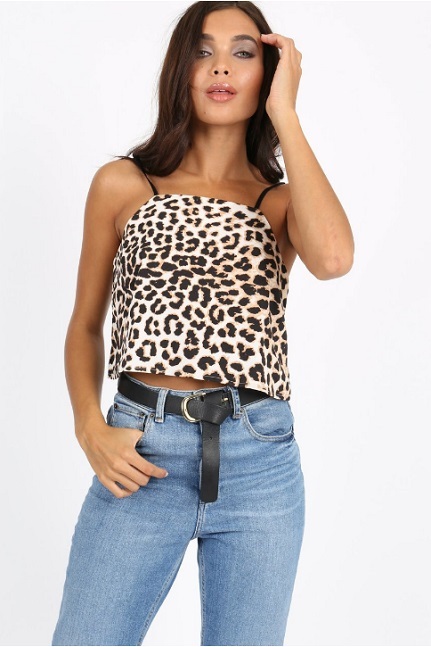 Leopard Print Cami Top with adjustable shoulder straps.